I have a used Leupold Vari-X III 6.5-20X scope for sale. This scope has the gloss finish and 1 inch tube and 40mm objective lens. It has the tall turrets with adjustable 1/4 inch MOA adjustments. The glass is clean but it does have scope ring marks from the previous owner. 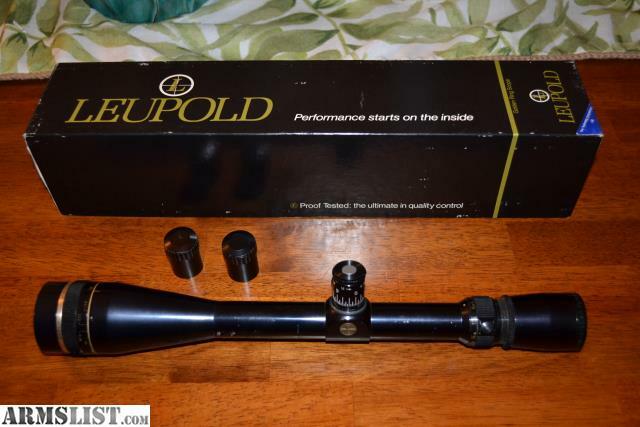 It comes with a Leupold box but not the original one for the scope.